KEVIN F. MAHON was a senior staff trial attorney for the Traveler's Insurance Company following law school. He was then in private practice for several years concentrating on personal injury litigation. Mr. Mahon joined MDAF in 1998 and became a partner in 2007. 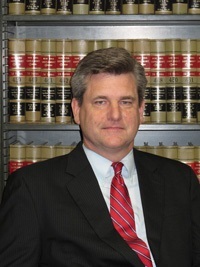 Mr. Mahon specializes in litigation and trial work with an emphasis on complex construction litigation. He has tried cases in State and Federal court involving premises liability, products liability, medical malpractice and insurance coverage issues. Gucciardi v. Huguenot Properties Inc. and New Chopsticks House Inc., Supreme Court, Richmond County – obtained a defendant’s verdict in a premises liability case that was tried before Hon. Charles Troia. The plaintiff claimed that she was caused to slip and fall on ice that was in the middle of a commercial parking lot, sustaining a fractured patella that required open reduction and internal fixation. She claimed that employees from the Chinese restaurant located in the shopping center would routinely pour mop water into the parking lot after cleaning the floors of the restaurant. During the course of the litigation plaintiff exchanged surveillance video which, according to the plaintiff, showed employees of the Chinese restaurant dumping mop water onto the parking lot floor after the date of the accident. Mr. Mahon moved to preclude use of the surveillance video as it showed “post accident” activities, which was granted and the video was not shown to the jury. At trial, Mr. Mahon argued that the ice could have originated from many different sources such as other stores or customers. Jones v. New York City Transit Authority, Supreme Court, New York County – obtained a defendant’s verdict in a municipal liability case that was tried before before Hon. Margaret Chan. The plaintiff claimed that she was caused to trip and fall as she descended a staircase leading to the 4, 5 and 6 trains in the Grand Central subway station, sustaining a tear of the medial meniscus of the right knee which required surgery. She ultimately had a right knee replacement. She claimed that she was caused to trip by an uneven tile that she felt under her left heel. She then fell down 18 steps. She did not see the subject step on the date of the incident. She returned to the scene two weeks later and took photographs of a “defect” on a step that she claimed caused her to fall. The TA witness testified that the photographs showed a tile repaired with epoxy and that there was no unevenness on the tile surface. Banner v. Manhattan and Bronx Surfacte Transit Operating Authority and New York City Transit Authority, Supreme Court, Bronx County – obtained a defendant’s verdict in a motor vehicle accident case that was tried before before Hon. Wilma Guzman. The Plaintiff claimed that she was caused to fall after she entered the BX40 bus at the Grand Concourse and Burnside Avenue in the Bronx. She claimed that after she entered the bus, she walked to a seat but before she sat down she bent over to remove a paper that was on the seat. As she bent over, the bus suddenly, violently and unexpectedly moved causing her to fall, and sustain tears of the ACL and the medial meniscus of the left knee which required surgery. She was not holding onto any handrails at the time of the incident. The bus operator testified that he was not made aware of the incident. Uvino v. Barrows, et. al., U.S. District Court, Eastern District New York – obtained a defendant’s verdict in a general liability matter that was tried before Hon. Leonard Wexler. The plaintiffs were a couple that built a multi-million dollar home in the Hamptons. They hired an architect and various contractors to build the home which included a pool house and pool. Mr. Mahon represented one of the contractors, Hampton Framing, which was hired to frame the house. After numerous disagreements with the contractors, litigation ensued, which included an action by the owners against Hampton Framing for negligent construction work. After a lengthy trial, Mr. Mahon obtained a defense verdict on behalf of Hampton Contracting. Sophia McPherson v. The New York City Transit Authority, Supreme Court, Bronx County – obtained a favorable verdict in a premises liability case that was tried before Hon. John Barone. The plaintiff claimed that she was caused to slip and fall as she was descending the southbound staircase leading to the 5 train platform of the Gunhill Road station in the Bronx, sustaining a torn left lateral meniscus and a torn left ACL. She required surgery to address these conditions. The plaintiff claimed that the step she slipped on was covered with water that originated from a wall on the side of the staircase. Photos were entered into evidence that showed the subject wall with visible cracks, peeling paint and missing cement. Plaintiff testified that she saw water pouring from the cracks in the wall after her fall. The defendant argued that plaintiff failed to observe the obvious condition prior to her fall. The jury found the plaintiff 60% responsible for causing her accident. Masarof v. New York City Transit Authority, Supreme Court, New York County – obtained a defendant’s verdict in a premises liability case that was tried before Hon. Saliann Scarpulla. The plaintiff claimed that she was caused to trip and fall as she descended a staircase in a subway station located at 94th Street and Broadway in Manhattan, sustaining fractures of the left distal radius and ulna which required open reduction and internal fixation. She claimed that she was caused to trip on a step that was defective in that there was a crevice or defect on the lip of the step. Plaintiff’s expert, Daniel Burdett, P.E., testified that the lip of the step was in a dangerous and defective condition. The defendant argued that a review of the photographs in evidence did not show a defect. Ishimaru v. New York City Transit Authority and Floyd, Supreme Court, New York County – obtained a defendant’s verdict in a motor vehicle accident case that was tried before Hon. Carole E. Huff. The plaintiff claimed that she was caused to fall after she entered a Transit Authority bus which was proceeding westbound on 57th street in Manhattan. The plaintiff claimed that the bus moved in a sudden, violent and unusual fashion which caused her to fall before she was able to sit down. The plaintiff suffered a femoral neck fracture and a tibia fracture. The bus driver testified that he eased his foot off the brake to move the bus into traffic when he heard a commotion. The driver stated that the bus moved about one mile per hour before it was stopped. The jury deliberated for two hours.